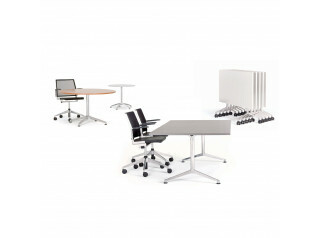 Click Folding Tables designed by Alberto Meda is a robust, flexible table range for meeting and training purposes. 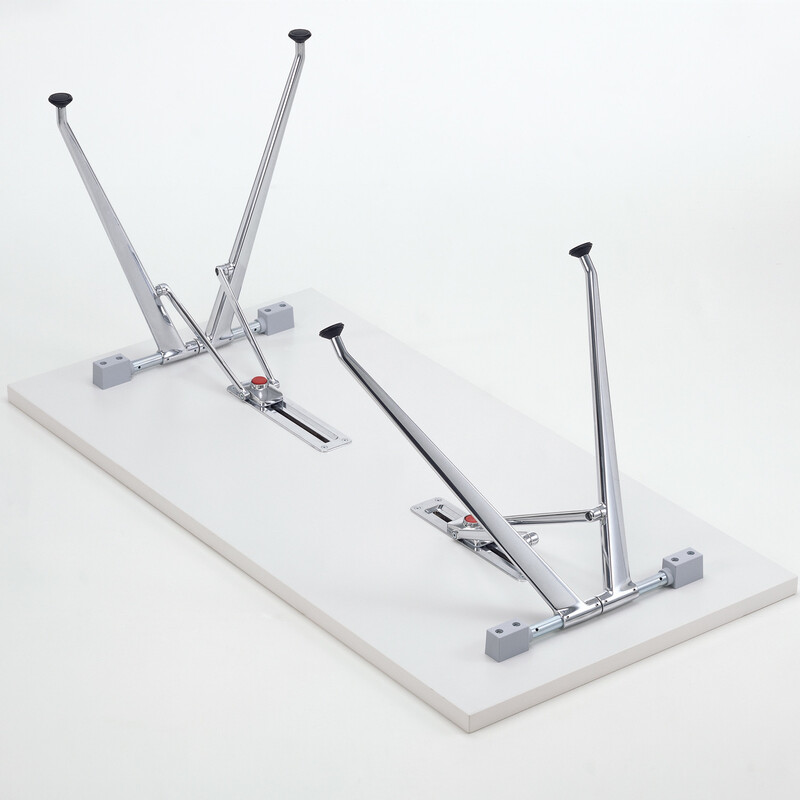 The Click Table legs can be easily folded up and down by simply pressing a button. 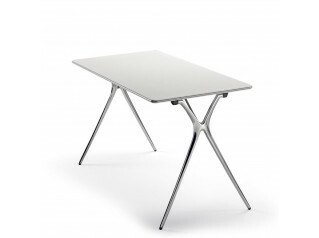 Because of the flat folding mechanism and the elegant lines of the legs Click does not look like an ordinary folding table. 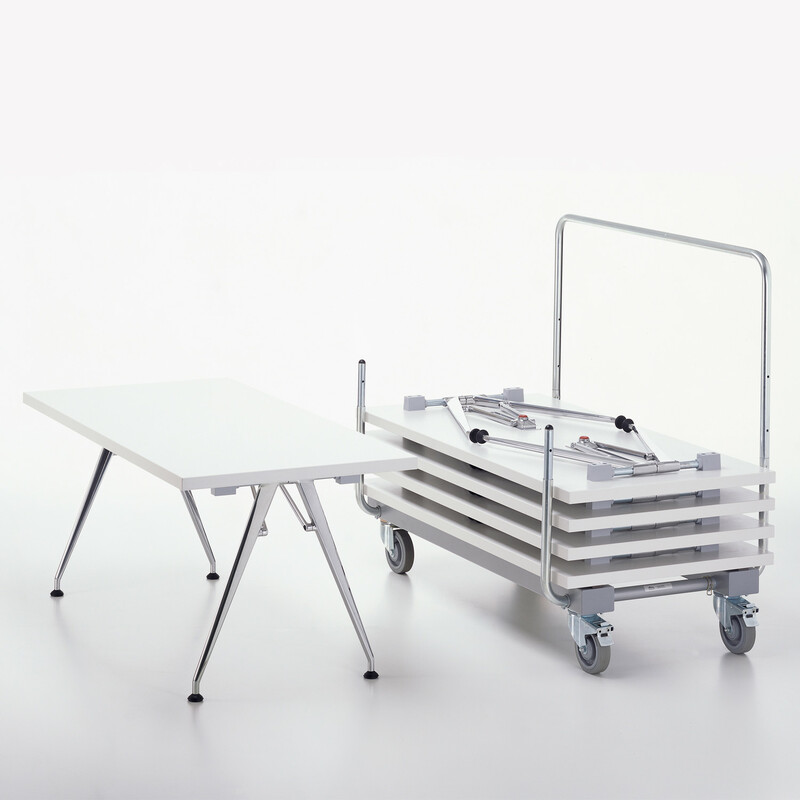 Up to 10 tables can be stacked on a transporter trolley. 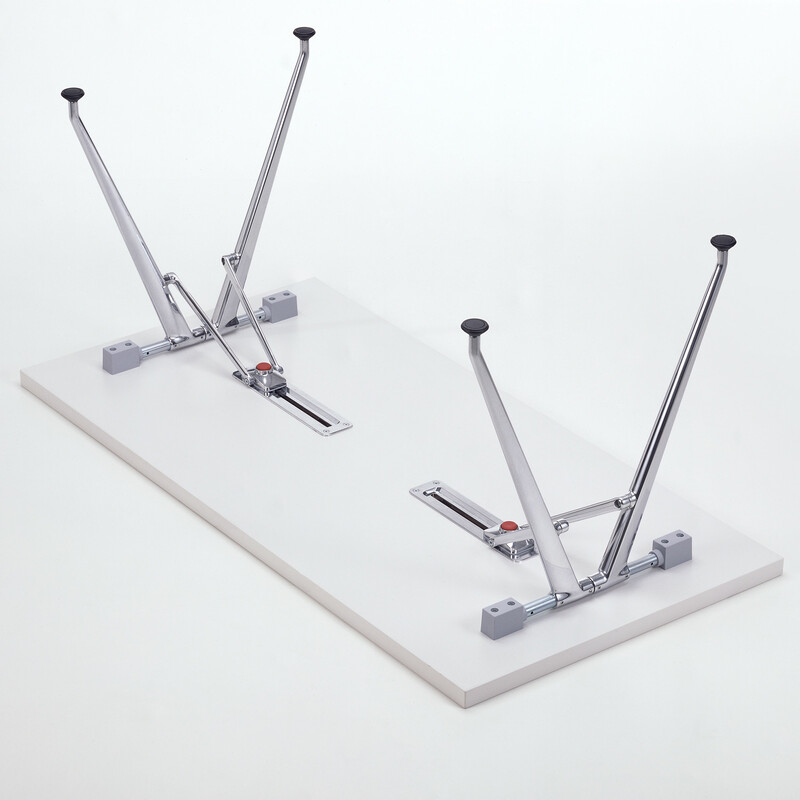 Alberto Meda, engineer and designer, born in 1945, lives and works in Mailand. 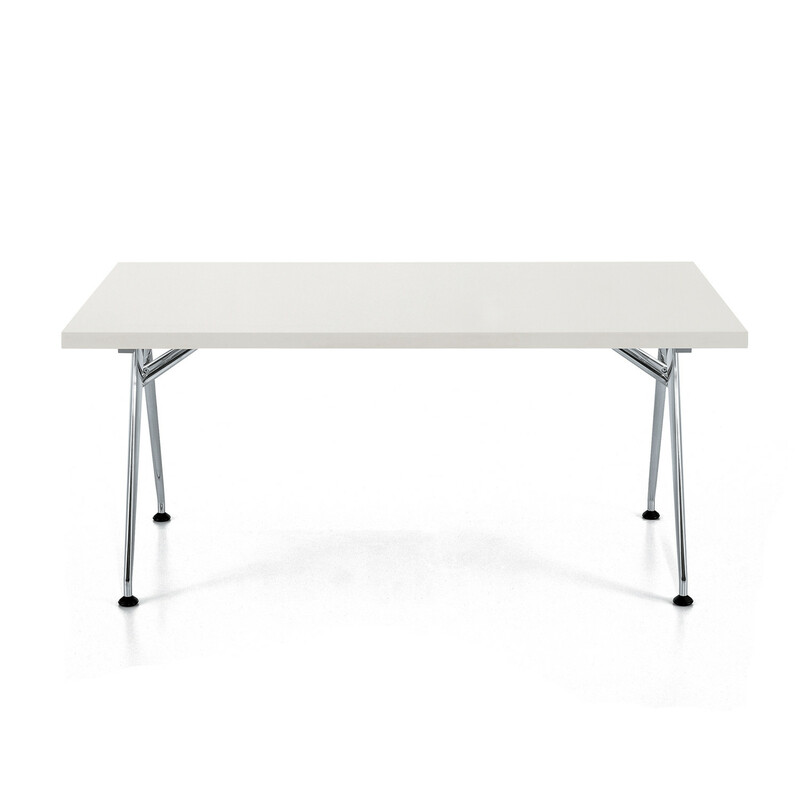 His knowledge of engineering influences his designs and he produces elegant, simple yet technically functional creations in the design language characteristic of him, the folding mechanism recessed into the table top enables space-saving storage. 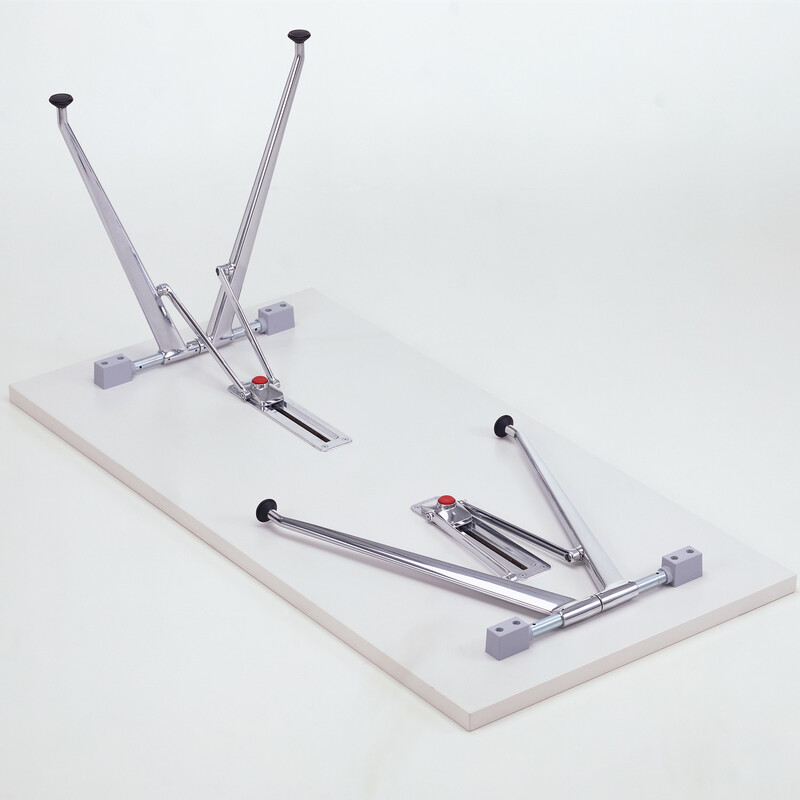 You are requesting a price for the "Click Folding Tables"
To create a new project and add "Click Folding Tables" to it please click the button below. 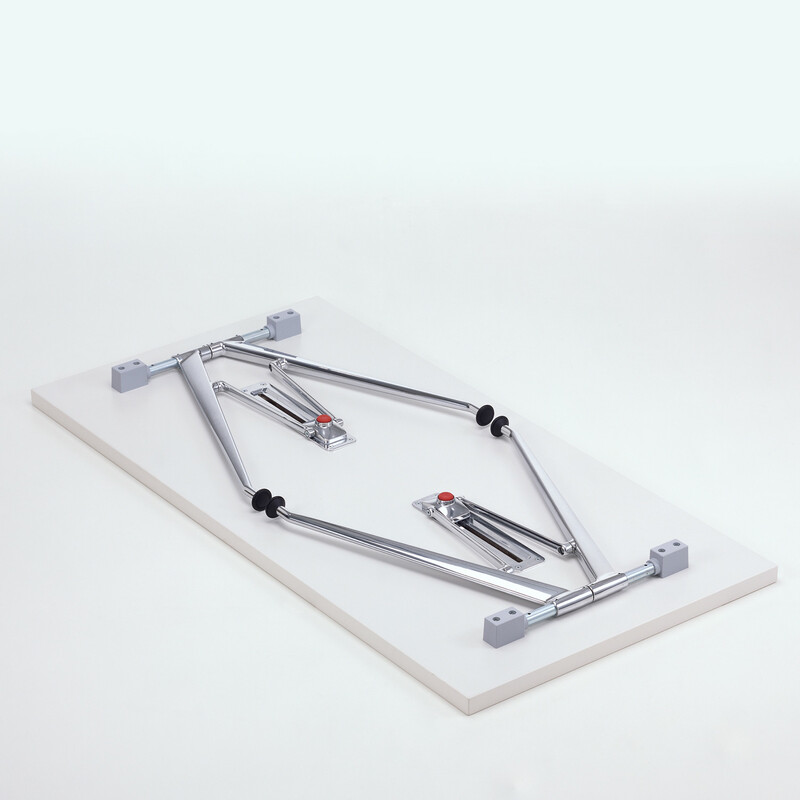 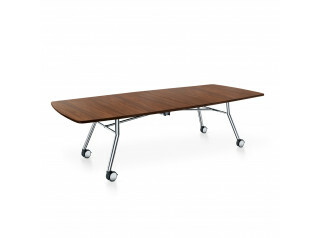 To add "Click Folding Tables" to an existing project please select below.